Haemophilus influenzae is a serious disease caused by bacteria. It usually strikes children younger than 5 years old. Haemophilus influenza spreads from person to person. Children and adults may have the bacteria and not know it. If the germs stay in a child's nose and throat, the child probably will not get sick. But sometimes the germs spread into the lungs or the bloodstream, and this is when Hib can cause serious problems. Meningitis an infection of the brain and spinal cord coverings, which can lead to lasting brain damage and deafness. Pneumonia - severe swelling in the throat, making it hard to breathe; infections of the blood, joints, bone, and covering of the heart. Haemophilus influenzae vaccine (Hib) can help prevent the disease. What should I discuss with my healthcare provider before receiving Haemophilus influenzae type b vaccine? Anyone who had a life-threatening allergic reaction after a dose of Hib should not get another dose. Children younger than 6 weeks of age should not get Hib vaccine. People with minor illnesses, such as a cold, may be vaccinated. Those who are moderately or severely ill should usually wait until they recover before getting Hib vaccine. How is Haemophilus influenzae type b vaccine administered? Your doctor, nurse, or another healthcare provider will administer the Haemophilus influenzae type b vaccine as an injection. 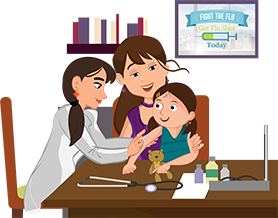 Children over 5 years old usually do not need Hib vaccine. But some older children or adults with special health conditions should get it. These conditions include sickle cell disease, HIV/AIDS, removal of the spleen, bone marrow transplant, or cancer treatment with drugs. Ask your doctor or nurse for details.